"Have you ever applied for a job that you were perfect for, but you didn't even get an interview? Have you ever discovered that someone else secured the 'dream job' that you didn't even get an opportunity to apply for? Have you ever been for an interview that you thought you aced and yet didn't receive a job offer?" Nothing happens in your career by chance. 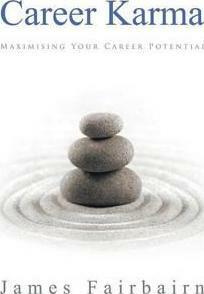 Career Karma is the guide that will show you how to take the reigns of your career so you learn about more and better job opportunities, obtain more interviews and secure more job offers. James Fairbairn has worked as a headhunter in the recruitment industry for over twenty years. Being witness to how many small nuances can affect candidates' career trajectory, he has written Career Karma to enable anyone and everyone to take charge of their career and maximise their chances of success.